Ylenia Gortana was born in Switzerland but has settled in Berlin and develops her ingenious pieces of fashion tech here. With the “Showpiece” jacket, the young designer highlights that wearables can quite literally play a number of parts. The hoodie designed by Gortana is a musical instrument thanks to an integrated drum computer. The “Showpiece” jacket was developed as part of a study project at the Berlin Weißensee art school. The designer jacket is kitted out with a total of 52 handmade, pressure-sensitive sensors. These square textile sensors change their electrical resistance when pressed and can emit an analogue continuous signal. “The analogue signals are converted into midi signals which are then read by a music programme. The sensors can be assigned as many different pre-defined loops, individual sounds, effects or filters as you want” explains Gortana in an interview. So, by tapping on your forearm, touching your chest and using the zip you can create various sounds and send these to a computer via Bluetooth. In order to achieve this, the hoodie consists of several layers: power circuit, isolation, textile sensors and a visual and haptic surface. 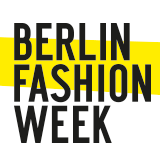 Ylenia Gortana developed the wearable in collaboration with the New York musician Birdmask and presented it at WEAR IT Berlin. Gortana, who is from Switzerland, has been living in Germany’s capital since 2010, where she graduated from the Berlin Weißensee art school. She has said that, when designing “Showpiece”, she focused on wearability, functionality and the system. This is an unusual focus in the fashion world. Unlike in traditional fashion design, Gortana, who has made Berlin her home, says she “put form below function” in this project. Nevertheless, she created a design in which the tech only becomes the main focal point when activated. The first impression is intended to be the same as that of a conventional piece of clothing. With “Showpiece”, Ylenia Gortana certainly proves that wearable tech is indeed wearable. In addition, having graduated from art school in Berlin, she is also another example of just how innovative the young design scene is in Berlin.